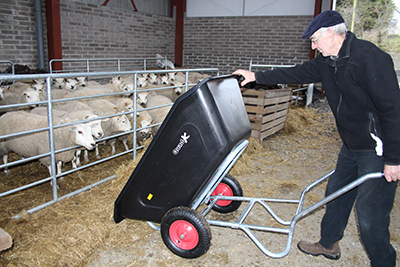 These Large Capacity Wheelbarrows are ideal for around your farm, yard, stables or garden. They have been designed to be lightweight for easy handling. Their twin wheels give great stability, fitted with a plastic hopper for durability and a long life. The tipping feature allows for easy removal of its contents without having to lift the handles. Available in either a 240L or 360L capacity.